My knees don’t work. I’ve got several slipped discs in my back. I’m frightened of having a fall. Every bit of me aches. And I’d lost my confidence. Just doing simple things like going on the buses or walking made me worried. A friend suggested Tai Chi. Huh? Me? Surely I wouldn’t fit in. But I really needed to help my poor body. 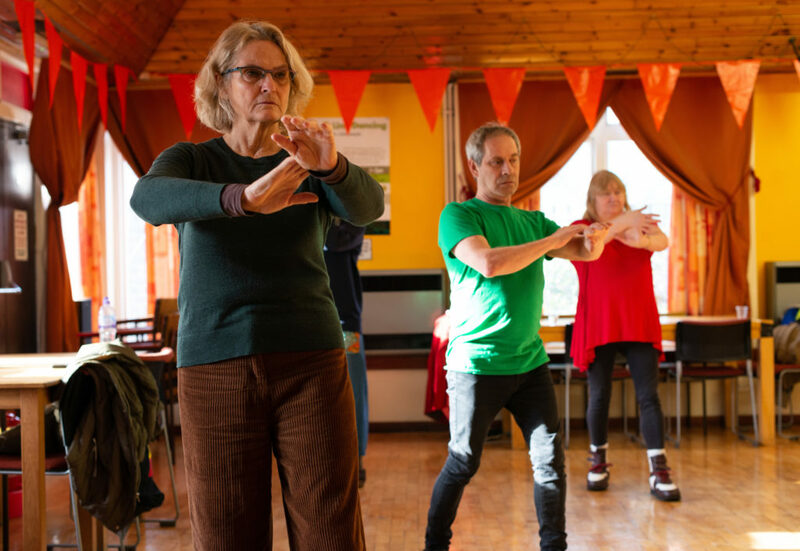 So along I went to the Hoxton Health Tai Chi class at Brougham Road Pensioners’ Hall. How bad could it be?